Are you looking for a solution that can remove document restrictions from PDF without password? Do not know how to take a printout of protected .pdf file without using any password? Then, do not worry anymore! In this technical post, we are going to show a method that enables users to eliminate all the protections from an Adobe PDF without any problem. If you are searching for the same, then this write-up is just for you. As we know, PDF (short for Portable Document Format) is one of the best formats to save an electronic document. And, share .pdf file across the different platform by keeping its content and formatting intact. Due to this characteristic, people use PDF file over the other file type such as .doc, .odt . Additionally, the PDF file can be easily secured by Owner-Level security. In such a situation when the file is owner-locked, the user becomes unable to print, copy and edit the .pdf document. Hence, the original password is required to remove PDF restrictions from Adobe PDF. So, there are many users who want to eliminate all the restrictions applied to a PDF file without using password. Thus, after considering this situation, in this post, we will illustrate a relevant solution through which user can smoothly remove document restrictions from PDF file without password. Well, first, let’s have a brief idea about a real-life situation to understand the need to eliminate restrictions from a document. Now, let’s have a look at the technique that can unlock a secured PDF without any hassle. A user can use Adobe Acrobat software in order to remove the security from PDF file. But, it requires a full licensed version of Acrobat. And, it is not worth to purchase such an expensive utility to just remove document restrictions from Adobe PDF. However, it also requires password to change the permissions. So, it is better to go with a cost-effective and efficient automated tool named as Adobe PDF Unlocker. Able to crack the password of multiple PDF file. Capable to eliminate document assembly restriction. 1. Download the tool and install on Windows system. 3. Now, click on Browse button to upload the owner-locked PDF document. 4. Once you have added the file, software will display all the permissions applied on PDF file. You can clearly see the red cross sign that indicates all these restrictions already existing in the document. After that, provide a location under the Select Destination section for the resultant unlocked file. 5. 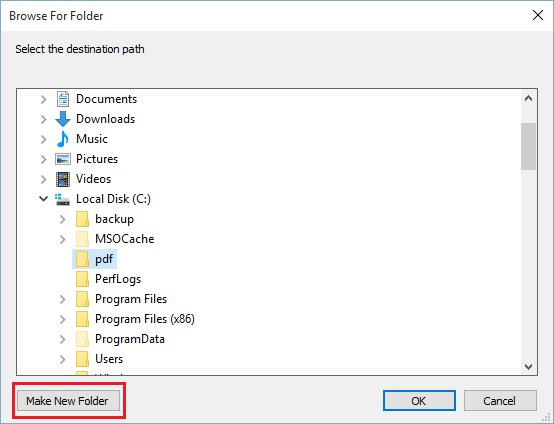 A user can select any existing folder in order to save the unrestricted .pdf file. Otherwise, with the help of Make New Folder option, a user can create a new folder and save the file in it. 6. At last, click on Unlock PDF to remove restrictions from PDF without password. 7. Once the process gets completed, you can see all the permissions on PDF gets removed and a green tick appears under the Permission After column. 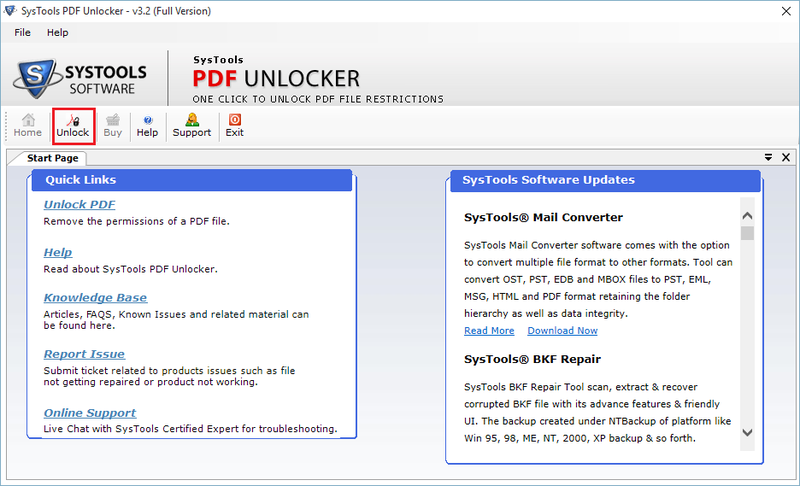 In this article, we have discussed a relevant approach PDF Unlocker, that can easily remove document restrictions from PDF without password. It is a proficient tool that can remove any type of permissions from Portable Document Format file in a matter of minutes. If a user does not want to waste its money and valuable time, then it is advised to show their trust in PDF Cracker tool. It is a advanced utility to remove document restrictions from Adobe PDF without any data loss.